NOTE: If you do not have access to post here in the Organizers' Circle, please feel free to post any responses here instead. My day on Friday started with having to pick up the posters and flyers for the weekend at Staples downtown. I had worked on them the weekend prior and was happy with how they turned out! I designed posters for each of the weekends events, some "Participant" posters for a few of the people who were to play in Saturday's event as a memento, and personalized posters for all four of the qualifying champions this year (geetster99, Leone19, Leone7, and Mitsu). After picking those up, I headed back home and then over to the subway to meet JesseObre and make our way over to the convention. Along the way while waiting for a bus we had the good fortune of having Suntailhawk stop in front of where we were waiting in his car. He drove us the rest of the way to the convention! Once we got there we headed to the International Plaza and after some time met up with Dark_Mousy, Mitsu, 1234beyblade, Leone7, UltimateOrion, ~Thunder~, Primus, Stormscorpio1, geetster99, OntheDL ... and maybe some other people I'm forgetting. 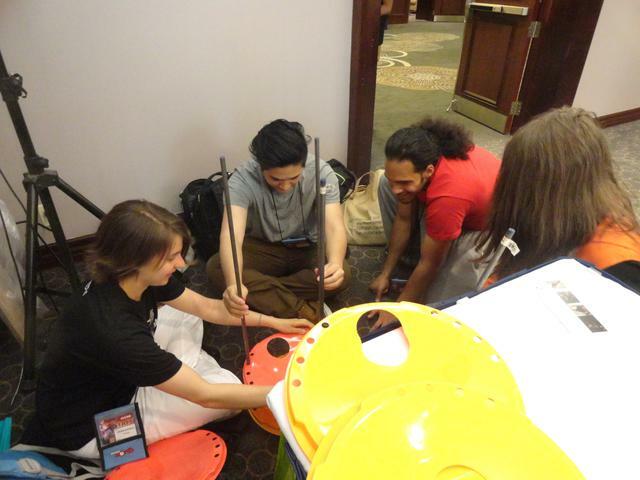 The BEYBLADE BATTLE STATIONS idea didn't really work out, but we did spend several hours there playing Beyblade in the lobby and handing out flyers (mostly Jesse). Mitsu and 1234beyblade acted as my human billboards holding the BEYBLADE BATTLE STATION posters haha. 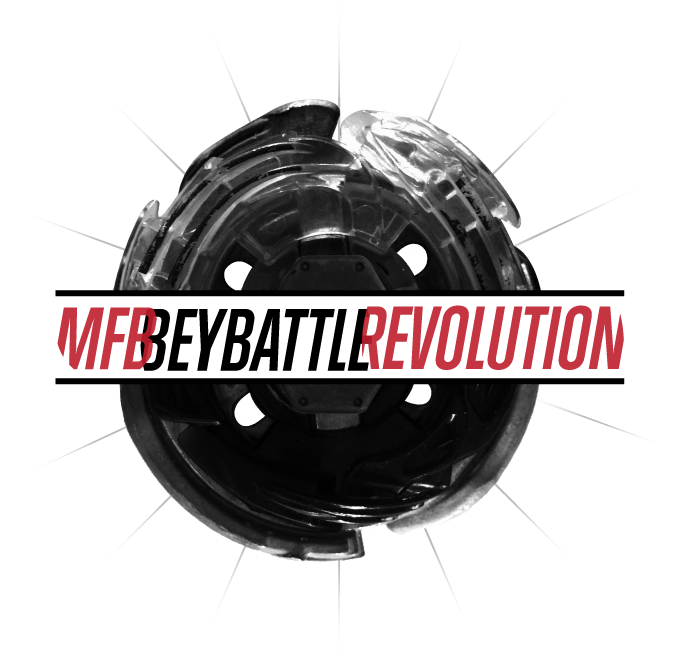 At around 4:30PM we made our way over to the Sheraton for MFB BeyBattle Revolution. After some terrible mix ups with getting our staff badges sorted (which consisted of JesseObre, Cye Kinomiya, and I having to go all the way back to the International Plaza at 5:30 when the tournament was supposed to start), we eventually were able to get the tournament started. As has become evident over the years, the Friday events at Anime North are arguably the most competitive with a high concentration of competitive Bladers from across North America playing together without many lowly-ranked players among them. It was no different this year! In some ways, I've always thought the Friday tournaments at AN are more competitive than even the Saturday events because of the high concentration of highly-ranked players. You can view the full results using the link above, but we had 18 Bladers in total, and played Block Round Robin with three blocks of six Bladers. I didn't do so well in this tournament, going 2-3 ... In the lead up to Anime North I had done a lot of practice using the Rev-Up Launcher and was having some success with it. I figured it would give me an advantage over others since there was little chance that anyone else would be using it, as usual. I ended up running into some unfavourable matchups caused in part by the Rev-Up Launcher. For example, against geetster99, he used a low-Track Burn MF combo and I was using MF Libra TH170D; because I was using the Rev-Up however, this caused Libra to move around the stadium more than usual, which made it easier for geetster99 to KO it. This is desirable when using Bottoms like RSF or even RS and you want to play aggressively, but not when using Stamina against Attack. And with the Rev-Up it's really all-or-nothing, so you can't launch lightly. It was a bad pick in general however, because I had seen that geetser99 had been using that same combo for all of his battles up until that point ... so I'm not making excuses haha. In any case, I do still believe that it has potential and that it has been seriously underrated by the community since it was released. Especially in Limited where Beyblades are not as heavy as they are in Standard or Zero-G (which means it won't break as easily), I think it has potential. geetster99 and LMAO ended up moving on to the finals from my block. What stood out to me up until that point–and what would end up becoming a significant factor in Team BeyBattle Revolution the next day–was LMAO's use of Libra 230RS. I had been wondering who would take advantage of RS's recent unbanning and was interested to see how it would perform. As you might guess, it has some pretty great Defense. Not unbeatable, but when you use it you feel like you have a great chance of winning (as you should using a Defense type). So much so, that he dubbed it the "Brick Wall" haha. It has been this way for a long time now in Limited, but the use of Attack types in this tournament was also notable. In spite of the recent unbanning of RS, they were still omnipresent throughout the weekend. From my perspective, the format in general seemed really balanced. The only item of concern to me right now is Libra after experiencing (and taking advantage of) it's dominance at the Ontario Qualifier, this tournament, and Team BeyBattle Revolution. And don't forget that Dark_Mousy almost exclusively used Libra en route to a 3rd place finish at GRAND BATTLE TOURNAMENT 2 last year. Only recently have I come to realize again how versatile it is as a Defense type, Stamina type with strong defensive properties, and as a Wheel with a slight amount of aggression/recoil to it, allowing you to KO things with some effort (and luck). I've known this for years of course, but for whatever reason I had dismissed this a little bit until recently, only using it for Defense. After the tournament had finished, we were able to get started on the side events. Kai-V and The Boss/Valentin had arrived an hour or two earlier, but were not able to participate in the event because they spent the entire time building this ... the BeyStadium Tower! The BeyStadium Tower is the WBO's own version of TAKARA-TOMY's Bey Sky Tree, a special stadium that was created some some of their events years ago. I'll leave it to Kai-V to explain how she was able to get all of the materials together and figure out how it would be put together, since all of the credit must go to her for having this idea and following through with it. But it was crazy. For the side event involving this stadium, the structure of play was based on win streaks. Bladers would play each other 1v1 in the stadium and the winner of each round would continue playing until they won three straight rounds. At which point, they would win a Beyblade Legends Beyblade and step down so that two brand new Bladers could play and attempt to start a win streak. 1. 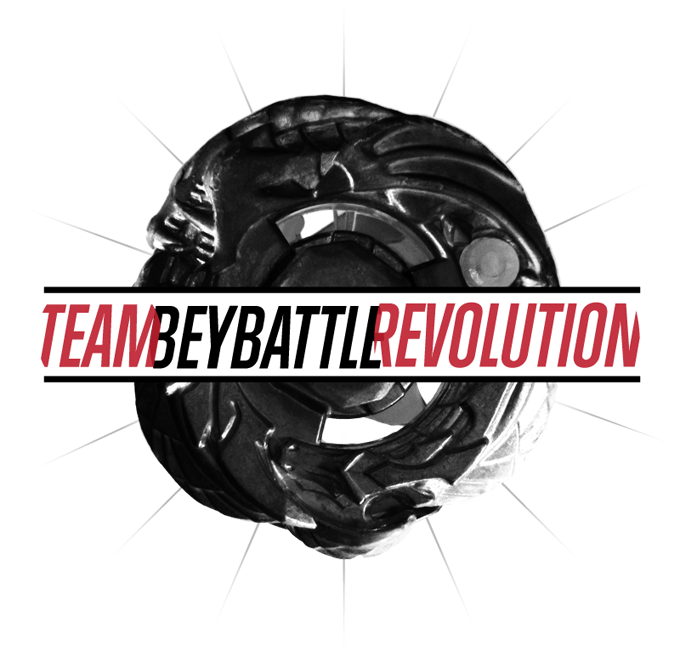 Beyblades can often get stuck on different levels, resulting in Stamina battles taking place on multiple levels simultaneously. This is kinda boring lol. 2. Beyblades can get stuck in the holes and spin rapidly around them, as if they were stuck on something like the Tornado Point in the Tornado BeyStadium. There was even one KO as a result of this. It was pretty awesome. 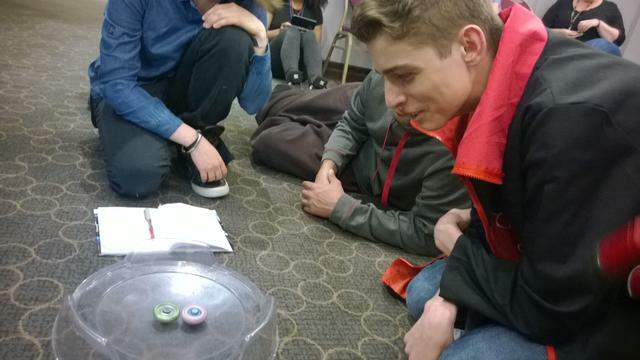 Next up was Beyblade Race! I was honestly a bit confused about how this was going to work, since it again was Kai-V's idea, but it ended up being a lot more interesting that I thought it would be. 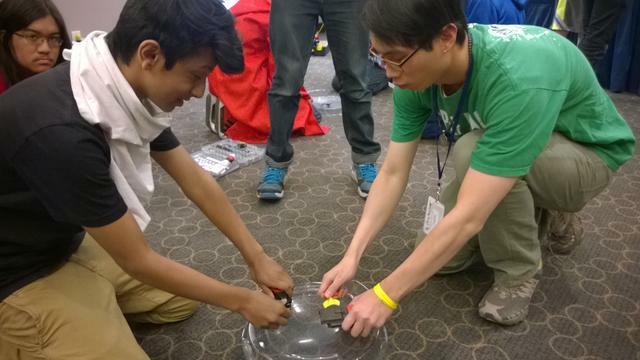 Essentially, the goal of the event was for both competitors to launch their Beyblades on a plank of hardwood without doing any kind of Sliding Shoot to propel them forward and see which one would travel the farthest without falling off. As you might suspect, Beyblades with non-aggressive Bottoms like WD or TB did best. The best thing that happened was when one Beyblade hit it's opponent directly forward almost 3/4 of the way down the plank. This one was also based on win streaks. Cye Kinomiya tried really hard to win using a Libra Metal Flat combo (and as you may or may not know, MF in the Tornado BeyStadium catches the Tornado Point really easily and circles it at incredibly rapid speeds), but it didn't end up working out haha. This was the big one. After a successful test run for Team Format at BEY OR DIE last September, I was excited at the prospect of doing it again and on a much larger scale this time. After a late night in which I only ended up getting about three hours of sleep, I somehow got myself up and made my way over to the Sheraton Hotel for the event at around 9:30AM. An hour or so later, a lady on AN Staff came in and asked us about when the event would be starting, said that they had been receiving tons of questions about Beyblade, and that we should expect to be "swamped" soon ... but this never materialized. I have a feeling it was because they had mistakenly labeled our start time as 5PM for Saturday instead of the correct time of 10:30AM ... But nevertheless, we ended up with 27 participants for a total of 9 Teams. That's more than double that of the Team Format pilot event, BEY OR DIE. Going into this weekend, Kai-V and I had been debating about how we should best go about organizing the event. BEY OR DIE presented several problems regarding judge availability (since we do not want people judging battles involving their own teams), so we were worried that this would be a big problem at Team BeyBattle Revolution. Thankfully however, with the way the blocks were organized, there happened to be one qualified judge on each of the three teams in each block. Some of you may be aware that the rules for Team Format currently state that you must use Single Elimination for 9+ teams. We decided that maybe this wasn't the best idea, and went ahead with Block Round Robin instead. We didn't want anyone to go home having played only one individual BeyBattle. I would have preferred to do two blocks of five teams had we been able to reach 30 participants so that the time for the tournament could be extended slightly, but it went really well regardless. After we completed the seedings, we took the top seed, paired them with the ninth seed. Then the second seed with the eighth seed, and so on, until the blocks were full with three teams each. The top team from each block was to move onto the finals. To the surprise of everyone in the room, Team GT (Dark_Mousy, geetster99, and Stormscorpio1)–the top seed–did not manage to make it to the finals! Instead, Team Yeti (Suntailhawk, OntheDL, and Wombat) did with a Team BeyBattle score of 2-0! Even though this was a huge surprise, it is also worth noting that Blasterjoker01 (formerly kaibaman7869) went 2-0 on his losing Team Apex. This to me proves that Team Format is working: one strong Blader cannot carry his or her team. A team effort is needed to be successful in Team Format. If you can't win your individual BeyBattle, you have to at least contribute a few round wins. Losing 3-0 puts your team in a bad position everytime, unless your team has already won the first two BeyBattles 3-0, that is. This block came down to the last round of a tiebreaker to determine who advanced to the finals. Going into the third BeyBattle of this Team BeyBattle, NY Bladers were leading DAY BREAKERS 4-3. I only ended up winning 3-2, which meant there was a tie of 6-6 and meant a final decisive BeyBattle needed to be played. DAY BREAKERS chose ~Thunder~ to represent NY Bladers and NY Bladers chose The Boss to represent us. The Boss ended up winning a close battle using MF L Drago Guardian F230GCF against Duo 230MB. There is quite a fine line between winning and losing, which was evident here. NY Bladers put forth a great performance and could have certainly made it to the finals if things had played out a little differently. It was evident at BEY OR DIE, but seeing it again at this event made me remember how great the tiebreaker rule is. Teams will always choose who they perceive to be the weakest link on the opposing team in the event of a tiebreaker, which ensures that like I said earlier, there can never be a single great Blader who carries a team. Everyone on your team plays a vital role. Team BeyBros, Team Anything, Team Osu! Even though the top two seeds were in Blocks A and B respectively, I feel like this may have been the most difficult block with both the third (BeyBros) and fourth (Osu!) seeds competing against each other in it. As a result, it came as no surprise to me that there was a three way tiebreaker after the block had been completed. Because we did not want to replay the entire block, Kai-V and I had to sort of improvise and decide what the fairest way to determine who would move on without replaying the entire block. Because total round wins are how individual Team BeyBattle wins are determined, we decided to total the round wins from all three teams to determine the top two teams that would play in a final playoff Team BeyBattle for the right to advance to the finals. That ended up being BeyBros vs. Osu!, with Osu! advancing thanks to a solid 9-4 victory. Going into the finals I was most worried about Osu! since both 1234beyblade and Mitsu had been doing well as of late, and pyrus10000 somehow always seems to find a way to beat me lol. Of course then, the finals ended up coming down to a tiebreaker in the final Team BeyBattle of the Finals block between DAY BREAKERS and Osu!. In this Team BeyBattle, we (DAY BREAKERS) had chosen to go with the order of The Boss, JesseObre, and finally myself. We predicted the order of Osu! would be 1234beyblade, pyrus10000, and Mitsu and ended up being correct. In our minds, The Boss would have the easiest time defeating 1234beyblade since he did not appear to be (and does not usually) play aggressively (while pyrus10000 and Mitsu have a tendency to do so), and The Boss is most successful with Stamina/Defense types. Even if he lost, we reasoned that it was a good choice because it left time for JesseObre and I to pick up the slack in the remaining two battles. The Boss ended up winning 3-2 partially due to Libra's ability to KO light Stamina types like Meteo. Meteo's lack of a Metal Face in this situation did not help it, surely. We surmised beforehand that he would use a Libra RSF combo, Libra TH170/230 Stamina, or Meteo combo and decided that our custom would have a good chance at winning in each scenario, and also an OK chance at winning in the event that 1234beyblade did end up using something aggressive. pyrus10000 was probably the opponent we were most unsure of what he would use, simply because despite attending most Toronto events, he doesn't place all the time, so we didn't have as much concrete data on him. However, we did figure that because they lost the previous battle, they would play a little bit conservatively to try and gain back some of the ground they lost. We were wrong. pyrus10000's MSF-H Dark Knight Girago 90RF pretty much completely destroyed MF-H Lightning L Drago CH120RB, which is designed to defeat Stamina and Defense, not Attack. This put us in a big hole, since we were now down 5-3 overall and Team Osu! needed just 2 round wins to clinch the tournament. Being down 5-3, we now had no choice but to win this BeyBattle 3-0 to take the Triple Crown title, or 3-1 to force a tiebreak. Because Osu! needed just one point to clinch the tiebreak, and because Mitsu had been using Attack all day, we successfully predicted his use of Attack for this battle. As I mentioned earlier while talking about LMAO's use of Libra 230RS in MFB BeyBattle Revolution, this is where the combo came back to become a key factor in this event (although I had used it to beat Suntailhawk's low Track Libra RSF combo in the previous Team BeyBattle). I managed to win 3-1 to force a tiebreak. To our surprise, Osu! chose Jesse to play the final battle. We chose Mitsu. This is interesting because it shows that in some cases in Team Format, teams will pick not necessarily who they think the weakest link is overall, but who they think the weakest link in the moment is. Both Jesse and Mitsu lost pretty convincingly, so that probably had something to do with why they were picked (I can say as much for our selection of Mitsu, at least). Once the match up had been announced we battled back and forth in a couple minutes trying to decide if Mitsu would have the guts to use Attack once again in such a high pressure situation. We couldn't decide, so we didn't want to commit to a pure Stamina or pure Defense type. Hence, we chose MF Libra W145EWD once again for it's combination of Stamina and Defense. Jesse ended up winning 3-0 (with a couple ties, one of which ended with a Beyblade hitting Jesse in the bare leg haha), redeeming himself for his earlier loss and winning Team BeyBattle Revolution for Team DAY BREAKERS! 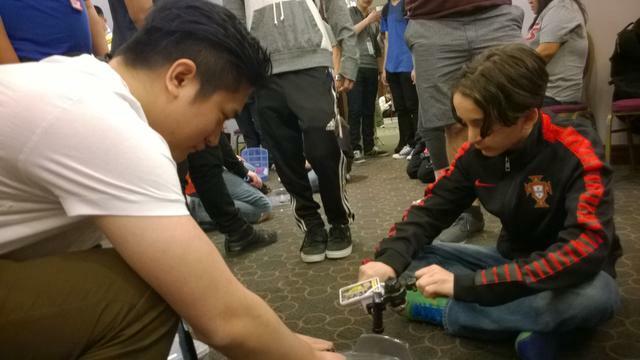 Speaking personally for a moment, I had not made it to the finals of the main event at AN since I won BEYBLADE CRUSADE back in 2011, so I was relieved more than anything to have made it this time! Especially after my 2-3 performance on Friday. It's safe to say that the event ended up being more successful and ran more smoothly than I had expected. I've only received positive feedback from attendees regarding the format. I'm curious, for those that played in the event and I haven't heard from directly, what was it like from your perspective? What did you like? What did you not like? What could be done better? After the tournament, it was a beautiful day out so after heading over to the Dealer's Room with Kai-V, Dude, The Boss, LMAO, The Sponge, 1234beyblade, Mitsu, Cye Kinomiya, his girlfriend, and JesseObre we met up with Spinster/Elliot and hung out for a while. Then, in what has become a yearly tradition since I've been around, most of us went downtown for dinner at Real Thailand! We also met up with Daegor42 and Priscient there. Later on, Elliot, The Boss, Cye Kinomiya and I met up with Bey Brad at the International Plaza. He had been so busy with other commitments that weekend that he wasn't able to stop over at our room, but he was happy to hear that Team BeyBattle Revolution had gone well and wished that he could have been there! He had considered and tried a team format in the past (Tag BeyBattle Revolution at AN about 10 years ago), but was never sure it would work that well. 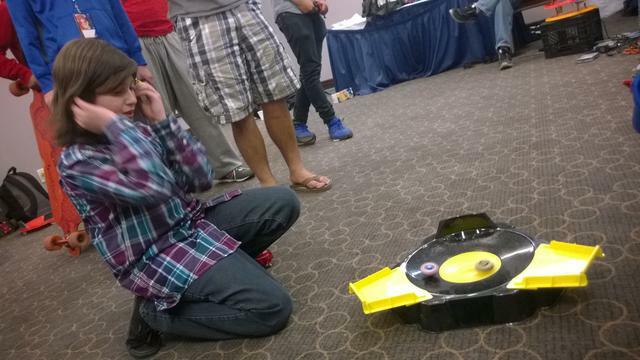 The theme for this tournament was surely "How do I attach my Beyblade to the Dual Shooter?". People just didn't get it! Haha. Maybe that says something about why HMS didn't last for too long LOL. Still, it was a great event. We had 12 players total, and went ahead with two six-player Blocks for the tournament. One of the more notable things that happened in the preliminary block play was Cye Kinomiya losing to OntheDL's bottom half of Phantom Fox MS ... by OS. In my block, Dark_Mousy dominated with a Bearing Core combo, and I had some fun playing with Jiraiya Blade Attack, eventually advancing to the finals alongside Dark_Mousy. There's something about Attack in HMS that just feels so much more safe than it is in MFB. From the other block, Cye Kinomiya recovered from his crushing single round loss to a Phantom Fox MS to advance to the finals alongside Kai-V. In the finals, even though Kai-V went 1-2, she put on display why Samurai Upper / CWD God Ring / Bearing Core 2 might be one of the best Defense combos in HMS. That's saying something considering how poor Defense is in this series. 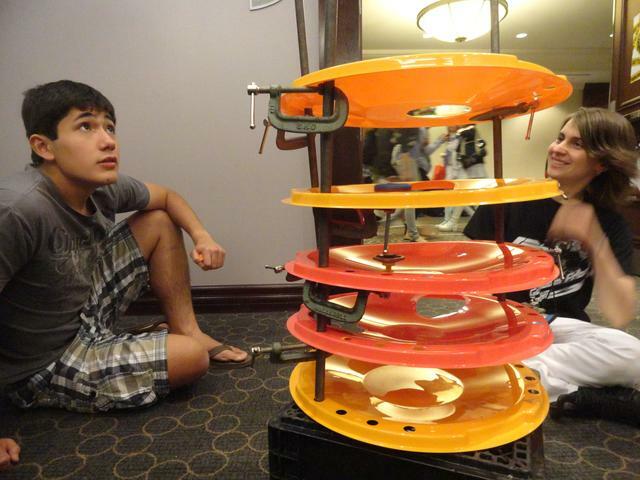 We played the same side events as Friday (BeyStadium Tower and Tornado BeyStadium), except for Beyblade Race. We replaced that with Super Control Beyblades. Kai-V had only brought two with her: L Drago Destroy and VariAres. We did a win streak-based system yet again and after a couple winners had been determined, threw a twist on things and had Bladers shooting one Beyblade, but switching launchers to control their opponents! 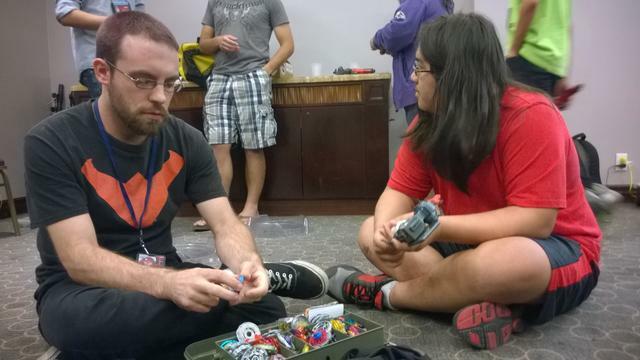 This led to some entertaining battles where people were trying to sabotage their opponents Beyblade into KOing itself. With the weekends festivities complete, Bladers slowly parted ways and headed home. In the final hour or two however, while a group of us were simply hanging out in the room cleaning up and free battling, one of the best things happened. Every year at AN we have onlookers; people who walk into the room just to see what's happening. They usually end up watching a few battles with smiles on their faces, but I think too often they leave without us having made a great attempt to make them feel welcome. This is partially because especially during tournaments most people in the room don't have time to do so (much less myself or anyone directly involved with the organization of the events), but regardless, it is a bit of a loss for us to let these people come and go. Thankfully on Sunday after all of our events were complete, there was still groups of people who would walk in to check things out. Now that we had the time, we asked a couple of these groups directly if they wanted to try out the Beyblades we had, gave them WBO Promo Cards, and told them about the WBO in the process. Each and every one of them seemed to be genuinely enjoying themselves, expressed interest in the game, and were amazed by the things that we showed them. Even though I have no idea if any of the people we talked to will pursue the game and end up joining the WBO, simply being able to connect with, have fun with, and fascinate them for that short period of time felt so valuable to me. It also reinforced for me how universal the game of Beyblade is; it simply is fun for people to play with on a visceral level more than anything. Next year I'm hoping we can do a better job of creating an environment where people can come, play, and learn about the WBO in that same type of context. Anyways, if any of you have any question about this weekend's events please feel free to let me know! Also, if you attended and have any personal anecdotes of your own, please post them here (or in this thread if you don't have access to the Organizers' Circle). I'm sure others would love to hear them. Finally, I'd like to take a moment to thank everyone who attended and who helped out this weekend. This includes, but is not limited to: Kai-V, The Boss, JesseObre, Cye Kinomiya, LMAO, originalzankye, Dark_Mousy, Stormscorpio1, Blasterjoker01, Primus, geetster99, UltimateOrion, Mitsu, and pyrus10000! Wow, great to hear that everything ran smoothly and the Team Format was a success! Even though I can never be there to experience it, I'm always to impressed by how much time and effort Kei and Kai-V put into making these yearly events possible. The side events sound a little wacky but fun, and are definitely a nice way of wrapping things up after the tournament. It's also great to see Zankye getting involved and publicizing the event; the extra attention is much-needed these days. All in all, it sounds like everyone had a blast. Fingers crossed that I'll have the funds to attend Anime North in 2016! Quick side-question: Were prizes awarded for the major tournaments? I didn't hear much of a hype about them this time around. I had a blast this weekend. Didn't do so great overall, though it was still an amazing experience! Libra literally just adds more defense to everything. Like I mentioned in the Winning Combinations thread, had of that Libra not been W145EWD in that final match, another stamina wheel would have easily lost to my Dark Knight Girago combo. UltimateOrion had a match against 1234beyblade where it was his Lightning against 1234beyblade's Libra TH170D. Had of that also been a lighter wheel, UltimateOrion would have been the one that match. Also- it was MSF-H Dark Knight Girago 90RF Pyrus100000 used in the match between JesseObre and him. To use this was personally was my idea, haha. I figured that you probably wouldn't have gone for MF Libra W145EWD twice and that'd you go for either a Duo 230CS which can get easy KO's off of it, or Lightning (which you guys did chose), where from my experience doesn't do so well against Dark Knight LTAC. If not a KO at the beginning of the match, because of it being capable of late-game KO's, too, it could have got one later in the match or even a win by out-spin. Had a great time hanging out with you guys this weekend; really looking forward to Anime North next year! Anyways, had an amazing weekend, I'd like to thank Kei and the rest of the committee for hosting such well organized tournaments all weekend long! Everything was so smooth! See you all again next year and thanks for all the fun this year! I just wanted to commend the amount of work that must have gone in to putting all of this together. I can tell that nothing other than Beyblade has been on your mind for the past week. The time it must have taken to organize and format all that data alone is incredibly impressive. Well done. On another note, as much as I love the geets (geetster99) it's nice to see him not win everything for once :p.
(May. 27, 2015 1:40 PM)Mitsu Wrote: I had a blast this weekend. Didn't do so great overall, though it was still an amazing experience! I used Meteo L-Drago(Absorb) F230CF against 1234Beyblade. I launched out once,self KOed once and he OSed me once. I had really bad luck but it was 3-2. Glad to see everyone had such a great time and big congrats to the winners this year! 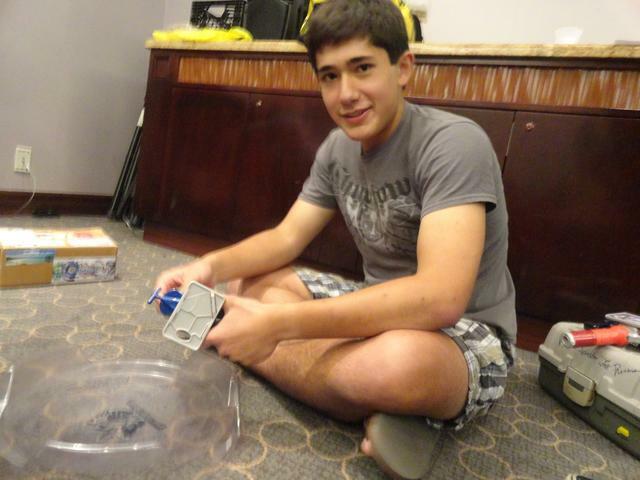 Quote: Because we were in Tornado Balance, I was confident he would pick a Bearing Core combo and thus decided to take a little bit of a risk and run with the infamous Metal Ape + Rubber Weight Core combo, which can take down Bearing Core easily as long as both Beyblades are spinning the same direction. Had a fantastic time this weekend. Sad I missed you guys on Friday night, but we got in really late, so I figured you would have been done by then, haha. Saturday was a blast- worked with the best guys ( LMAO The Sponge ) and we did pretty great, coming in 4th. Super happy I got to see generally everyone again and even met some new faces, like Wombat , Stormscorpio1 , pyrus10000 , and 1234beyblade . The tournament itself was really fun and fast paced, I loved how we used Block rather than something like Single Elimination (I know that was considered at one point). I was really surprised by those awesome posters from Kei , too- was not expecting that or those 2 Beyblades from the Anniversary giveaway. 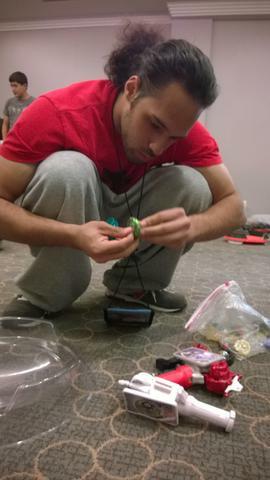 All in all, had a great time at AN- with some of the nicest and best Beyblades around. I will actually post my own feedback and explanations in the public thread, shortly. Just saying right now though, Libra 230RS on Friday night was absolutely crazy for me. I was able to beat every attack type I faced, was able to somehow beat a 230D combo, and a low track Libra RB combo. It was beautiful. Not to mention Scythe CH120EWD was amazing for me as well. I had the greatest time on Saturday with my teammates, don't think I could have chosen a better team We'll get em' next year. I didn't realize I was the captain of that team. I totally didn't want to be. Ah well. So, despite all the bad things that happened, this past weekend was definitely one of my favorite AN experiences to date, right up there with BND! I had an unbelievable amount of fun at the tournaments, but I feel like the more important part is that I got to hang out with friends that I only get to see about once a year. That part was great for me, so much so that I didn't even mind much what I went through with my phone and the airport. I usually don't commit to going to the next AN so soon after I just left one, but I'm pretty sure I'll make it up there next year too. 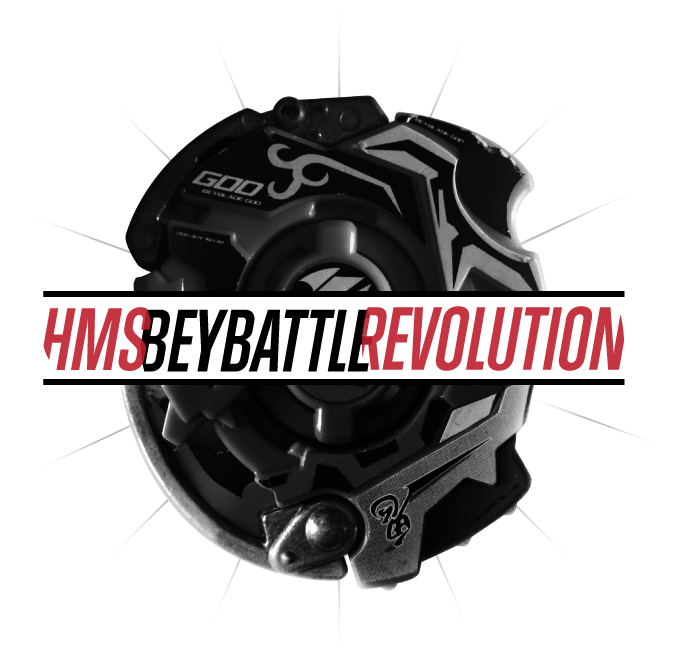 As for the tournaments, my favorite was obviously HMS. It felt like home comparatively. My favorite matches of the weekend was my loss to Kai-V in my block and my loss to Kei in the tie breaker final. That defense combo is really strong, and I made the conscious decision to try and beat it with attack anyway. It was really fun. And with Kei, it's like he read my mind every time I turned around. I still can't believe he picked right spin every time, haha. It was so much fun. I wanted to use the rubber weight core against Mousy in the finals, but I was pensive about him switching spin directions. I really like team format. I think it introduces a new level of fun. It's way more exciting to discuss strategies and the opposing team while selecting your bey for the match, and it's really exciting to cheer your teammates on as the matches progress. Team format also opens up new methods of reconnaissance that regular formats don't. I was surprised that I didn't see many of the other teams taking advantage of that. All in all, while I was on that bus I was just so thankful that I ever got into beyblade, simply because it allowed meet friends like you guys and experience feelings that I probably wouldn't ever have experienced otherwise. It makes me feel so thankful towards Brad, Kei, Kai-V, and anyone else who helped build and keep this community alive for all this time from OtC until now. There are probably too many people to name so I'll stop there. Being a part of the community you guys cultivated has been a life changing experience that I won't ever forget. Just to say though, I really do not think we should have this overall topic here in the section where only WBO Organizers can post; there were dozens of participants who are not yet recogised as official hosts and who might want to post their feedback as well. Sure, a formal report had to be posted, but the majority of these replies should go in a more public forum where others can participate to the discussion as well instead of having to remotely quote posts, which has not even been attempted yet. (May. 27, 2015 10:44 AM)The Supreme One Wrote: Wow, great to hear that everything ran smoothly and the Team Format was a success! Even though I can never be there to experience it, I'm always to impressed by how much time and effort Kei and Kai-V put into making these yearly events possible. The side events sound a little wacky but fun, and are definitely a nice way of wrapping things up after the tournament. It's also great to see Zankye getting involved and publicizing the event; the extra attention is much-needed these days. All in all, it sounds like everyone had a blast. Fingers crossed that I'll have the funds to attend Anime North in 2016! If you have the opportunity next year, you should absolutely make the effort to come! You'll have a great time. Thank you for your comments about the time and effort we put into making these events possible ... it certainly is no small task. If anything, we need to do a better job at dividing up work among more people so that everything doesn't land on us. - Ray Unicorno D125CS Aurora Ver. Nice! I didn't even know you got that. You should post more pictures in Beyblade General if you haven't already. (May. 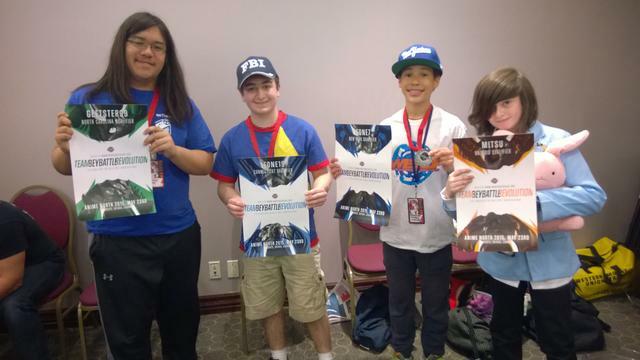 27, 2015 2:06 PM)LMAO Wrote: Anyways, had an amazing weekend, I'd like to thank Kei and the rest of the committee for hosting such well organized tournaments all weekend long! Everything was so smooth! Thank you! I'm happy to hear everything appeared to have ran smoothly to you. (May. 27, 2015 3:42 PM)Time Wrote: I just wanted to commend the amount of work that must have gone in to putting all of this together. I can tell that nothing other than Beyblade has been on your mind for the past week. The time it must have taken to organize and format all that data alone is incredibly impressive. Well done. On another note, as much as I love the geets (@[geetster99]) it's nice to see him not win everything for once :p.
Thank you! I appreciate it. You're pretty much right. The WBO in general has been consuming my mind for a while now with getting ready for this event, getting the BeyDays announcement and everything that went along with it ready, organizing/creating the WBO Tournament Results Spreadsheet Template, WBO Public Tournament Data Archive, and some other unannounced projects. I just feel really motivated right now and can clearly see some of the things we need to do to prepare ourselves for the future. I felt bad for him! Seeing what happened in the finals of MFB BeyBattle Revolution was probably one of the most shocking things I've ever seen happen in one of our tournaments, considering the context. He'll rebound though, I'm sure. I know several people were sad that you didn't pop by. Hopefully you can make it next year! It was pretty awesome busting that out in the final battle and having the exact match-up I expected. (May. 27, 2015 8:53 PM)Leone19 Wrote: I was really surprised by those awesome posters from @[Kei] , too- was not expecting that or those 2 Beyblades from the Anniversary giveaway. I'm glad you liked it. When I was working on the posters for the event I had the idea to make personalized posters for the qualifiers and thought it would be something nice to accompany the medals we awarded. There was actually a mix-up with dimsum2u and he didn't end up having them like I said lol ... fortunately, I then found that I had an extra Saramada Ifraid and Orojya Reviser for some reason at home and decided to bring them. (May. 27, 2015 9:47 PM)LMAO Wrote: Just saying right now though, Libra 230RS on Friday night was absolutely crazy for me. I was able to beat every attack type I faced, was able to somehow beat a 230D combo, and a low track Libra RB combo. It was beautiful. Not to mention Scythe CH120EWD was amazing for me as well. Yeah, it was great. The thing with it however was that even though it was good, it didn't shut down Attack 3-0 every time. I distinctly remember several battles against 230RS vs. Attack over the weekend ending with 3-2 scores, so to me that suggests that RS is great, but not necessarily overpowered. Attack still has a chance. (May. 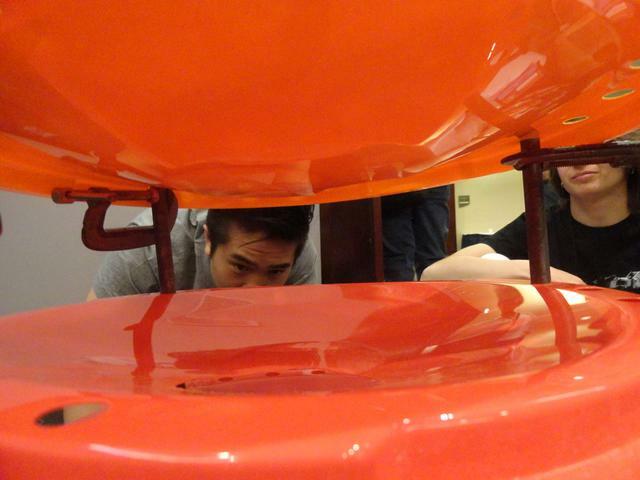 27, 2015 11:24 PM)Cye Kinomiya Wrote: I didn't realize I was the captain of that team. I totally didn't want to be. Ah well. That was my mistake haha. It was actually DJ ALPHA. I had forgotten about the trouble you had with your phone on Friday ... wow. It certainly was a rough weekend for you all things considered. The fact that in spite of those things you can still look back fondly on the weekend says a lot to me. That's not the first time I've been called a mind reader haha. Yeah, I guess the Rubber Weight Core combo is a bit risky because spin direction matters so much, but in our tiebreaker I figured that it would be worth the risk simply for the surprise factor of the combo choice. I'm guessing you didn't expect it at all! Yeah, absolutely. The collaboration is really what sets Team Format apart from all other formats. It's exciting having the opportunity to play yourself, but also to be playing for a greater cause at the same time. And the way you invest yourself in studying your teammates battles and cheering them on is so much different than the way you invest yourself in analyzing your opponents battles as a fellow competitor in a regular tournament. There's so many different strategic decisions to be made as well because Round Wins determine Team BeyBattle wins instead of BeyBattle wins. I certainly echo your statements about the community. I've invested so much of myself in it over the years because I see such a great value in what we do. I'm still amazed and thankful every year when I go to AN and I see people from across the continent (and even the world sometimes!) who I have talked and collaborated with online come together for one weekend. (May. 28, 2015 12:38 AM)Kai-V Wrote: Just to say though, I really do not think we should have this overall topic here in the section where only WBO Organizers can post; there were dozens of participants who are not yet recogised as official hosts and who might want to post their feedback as well. Sure, a formal report had to be posted, but the majority of these replies should go in a more public forum where others can participate to the discussion as well instead of having to remotely quote posts, which has not even been attempted yet. I also mentioned at the bottom that people can feel free to respond in the main Team BeyBattle Revolution tournament thread, and in my post about this report in that thread. I just added a note at the top of the report to make this even more obvious. I felt this deserved it's own thread, so posting it in Official Events as a regular post in the TBR thread wouldn't work ... the Organizers' Circle made the most sense to me from an organizational standpoint. Congrats to another successful year at Anime North! Looks like the Team Format went great. I skimmed everything, but I'll read through it later. I didn't see any place where you said how long the tournaments took, but that would be helpful in case I ever want to host again and I know the times of each type of tournament. Props to take Kei and Kai-V for spending there time organizing this and thank you Kei for gathering all the information right her as this will definitely be useful for future hosts of the team format and for fans like me who just like to know every bit of details XD. I am hoping that a year will come up where I can make an appearance at Anime North. Hopefully the time will come. Congrats again to the WBO for a great Championship! EDIT: What I don't like about this is the lack of matches. The maximum amount of matches that player had was 5 and don't you think that's too less? These tournaments won't make a significant difference in the BeyRanks, unless I'm wrong? (May. 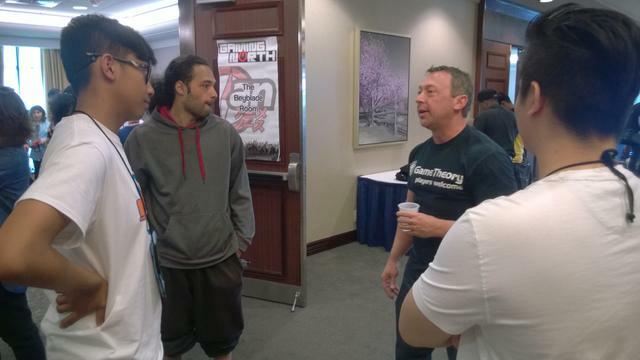 28, 2015 11:59 PM)RagerBlade Wrote: I didn't see any place where you said how long the tournaments took, but that would be helpful in case I ever want to host again and I know the times of each type of tournament. 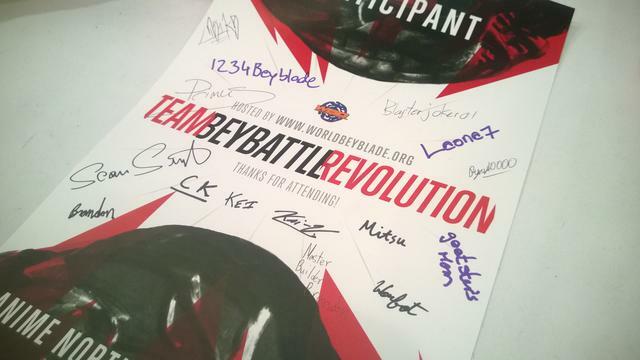 I can't recall exactly how long the Friday and Sunday tournaments took, but for Team BeyBattle Revolution I believe it took around 4 hours from start to finish? And that was at a relatively relaxed pace. The battles themselves probably take slightly longer too since you also have to add in time for teams to decide their order before a particular Team BeyBattle actually begins and generally there is more chatter between battles so it extends things a little bit, I think. As I mention in the report, I do wish we could have had 10 teams for two blocks of five teams so that he tournament would have been extended just a little bit. One of the tough things with Team Format is finding the right balance between being too long and too short; it's easy to make a tournament short (Single or Double Elimination) and easy to make it long (full Round Robin if you have more than a handful of teams), but it's harder to hit that middle ground. (May. 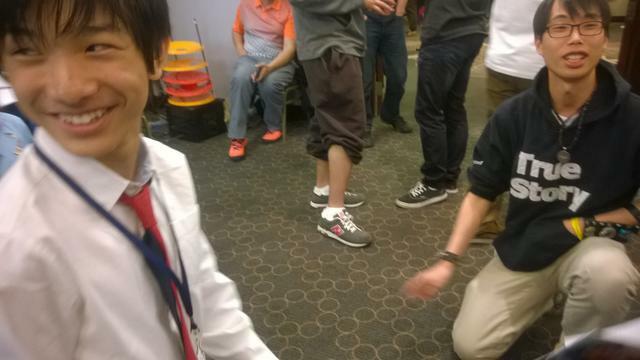 28, 2015 11:59 PM)RagerBlade Wrote: Props to take Kei and Kai-V for spending there time organizing this and thank you Kei for gathering all the information right her as this will definitely be useful for future hosts of the team format and for fans like me who just like to know every bit of details XD. Thank you! I do help it helps some people. I'm happy to answer any other questions people have too. I hope so too. Like I said to The Supreme One, you should absolutely make the effort to come next time if you can! RagerBlade Wrote: EDIT: What I don't like about this is the lack of matches. The maximum amount of matches that player had was 5 and don't you think that's too less? These tournaments won't make a significant difference in the BeyRanks, unless I'm wrong? My main concern was ensuring that players don't go home having played only one battle. 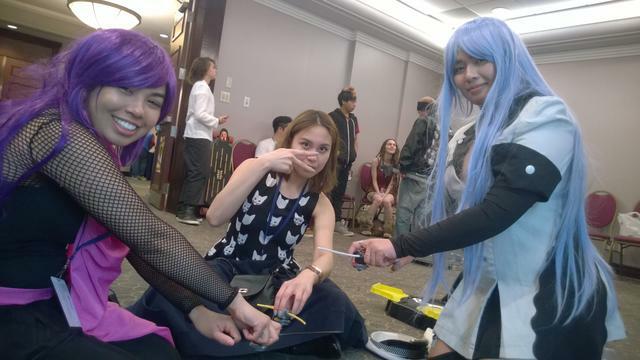 Until the past few years where we did Swiss, Double Elimination was the standard at Anime North. I think people generally are spoiled by the fact that they play in small round robin or block round robin tournaments where every player playing 5, 6, 7 or more BeyBattles each is feasible, but you have to consider the change in context at big events. If you want the tournament to conclude in a reasonable amount of time, you can't be doing a giant round robin or even say, a Block Round Robin with four blocks of eight Bladers each; that's basically 4-5 tournaments in one ... lol. Unfortunately, the reality is that the larger the tournament, the lower the average total matches each player will play will be. And with Team Format it is difficult because each Team BeyBattle consists of three individual BeyBattles; so what might work as a full Round Robin for example in individual play won't work for Team Format because it would amount to three times the BeyBattles overall.